3D printing has always given us everything ‘new’ and made us wonder about its discoveries. The kind of experiments and researches that are miracle for us have been possible due to its various technologies. The numerous technologies that have been ruling the 3D printing industry has given us many inventions for various sectors. All these technologies are popular and different. Using them for in distinguished fields have helped in maintaining their individual identity. These are proving advantageous for several professions. However, while using these technologies, you need to consider their strength and weaknesses for effective functioning. Fused Deposition Modelling (FDM) 3D printing service works on additive principle by laying down material in layers. A plastic filament or metal wire is connected from a coil and supplies material to produce a part. It mainly uses thermoplastics, PLA and ABS among others for its heat resistance properties. 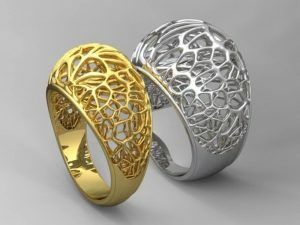 Selective Laser Sintering (SLS) 3D printing service is a method wherein miniature particles of plastic, glass or ceramics are exposed to heat by high power laser. It uses laser as power source to sinter powdered material. Stereo lithography uses a curable liquid resin is hardened by applying focused light or UV light. These printers build the object from top to bottom the build platform then lifts the model upwards out of the resin bath. Plastic 3D printing service is one of the popular material. It is both solid and flexible. It is good for experienced professionals and beginners as it has high precision and low cost. Metal 3D printing service is used in automotive, aerospace, medical and jeweler among others. As metal is used, prototypes can be functional hardware made from the same material as production components. PolyJet 3D printing service is like inkjet printer. However, instead of jetting ink on paper it jets layers of curable liquid photo polymer on a build tray.